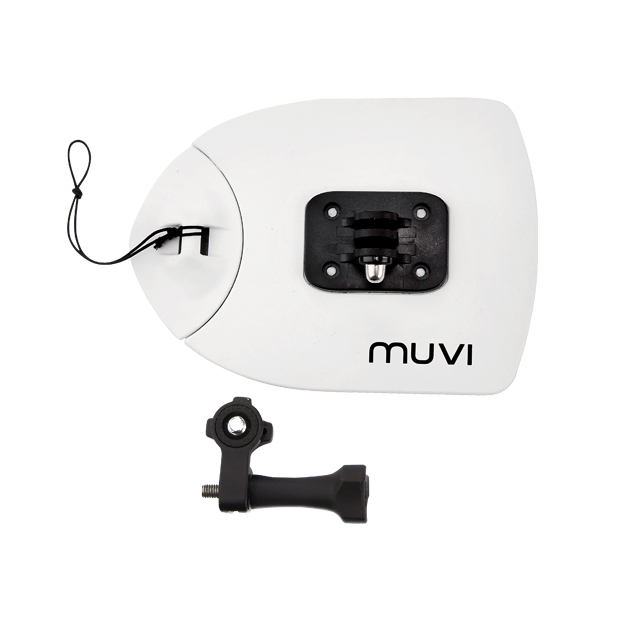 The Muvi Flat board mount is the must have accessory for all those riders who want to capture footage from the boards perspective. The ultra strong 3M™ VHB adhesive will fix the mount to any flat surface such as a snowboard or surfboard so that footage can be captured from a unique point of view. The mount is in 2 sections with a safety leash so that in the event the camera dislodges from the mount it will be attached to a separate section. Ships with the universal tripod mounts which is compatible with the waterproof housing for the K-Series / Muvi HD / Muvi Micro / Muvi Atom. Perfect for attaching to your surfboard, skateboard or snowboard.